Fort Myers, Florida, October 9, 2014 – The Aircraft Owners and Pilots Association (AOPA) has named Fort Myers-based Paragon Flight School the best flight training school of 2014. The awards, based on AOPA’s extensive research into the optimal flight training experience, focus on four key factors: educational quality; customer focus; community; and information sharing. To determine the award winners, AOPA polled more than 3,600 flight students from 1,447 flight schools. Paragon Flight received its award at the AOPA Homecoming Fly-in held in Frederick, Maryland on Saturday, October 4, 2014. A list of award winners is available on the Flight Training magazine website. Paragon Flight is an FAA-approved flight school located in Fort Myers, Florida. 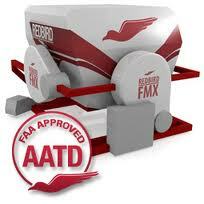 Paragon offers the most advanced aircraft available, including the recently-installed Redbird simulator. The school provides training for pilots of all skill levels, from beginner to advanced, and even offers a professional pilot training path. In addition to its headquarters in Fort Myers, Paragon operates at Naples airport. Other services include scenic flight tours and aerial photography flights. For more information, visit paragonflight.com. Since 1939, AOPA has protected the freedom to fly for thousands of pilots, aircraft owners and aviation enthusiasts. AOPA is the world’s largest aviation member association. With representatives based in Frederick, Md., Washington, D.C., and seven regions across the United States, AOPA provides member services that range from advocacy at the federal, state, and local levels to legal services, flight planning products, safety programs and award-winning media products. To learn more, visit www.aopa.org. Paragon Flight, based in Fort Myers, Florida, was recently honored as one of the top 50 flight schools in the nation with their selection to the Aircraft Owners and Pilots Association (AOPA) inaugural Flight Training Excellence Awards Flight School Honor Roll for 2012. Selected from nearly 2,500 nominations, Paragon Flight earned the votes of their students and customers as recognition for providing one of the finest flight training experiences. Established in 1939, AOPA is a Maryland-based not-profit organization dedicated to keeping general aviation safe, fun and affordable, and protecting the freedom to fly. Nearly 400,000 pilots and aviation devotees in the United States are AOPA members, making it the largest aviation association in the world. AOPA advocates aviation safety and strives to increase the population of highly skilled pilots. To that end, AOPA established the Flight Training Excellence Awards to acknowledge flight schools and instructors that best exemplify excellence in flight training. The prestigious awards were presented at AOPA’s annual Aviation Summit which was held this year in Palm Springs, California. Paragon Flight‘s 2012 Honor Roll placement recognizes their superior pilot training standards and the high quality of their instructors, programs and services. Paragon Flight is one of the top FAA-approved flight training centers in the U.S., and offers experienced and enthusiastic flight instructors, advanced training techniques, some of the finest equipment in the industry, and unsurpassed customer satisfaction. The sunny Fort Myers climate makes it possible to fly throughout the year and the location provides easy access to airports and practice areas. Paragon Flight appreciates this recognition from its valued students and customers and pledges to continue providing the highest level of Florida flight training and fulfill its mission to develop well-educated, confident and highly qualified pilots with a solid foundation of safety and precision who can experience the adventure of aviation. Paragon Flight has earned a track record for providing the some of the best aviation training available anywhere in the country. Because we’re determined to be your only logical choice when it comes to learning to fly, we’ve teamed up with Jeppesen, creators of the best training systems and materials in the world, to provide you with access to an unparalleled combination of aviation training expertise, ease-of-use, convenience and economy. For over 75 years, Jeppesen’s application-oriented approach to pilot training has been helping aviation professionals reach their destinations safely and efficiently. Today, the company offers an ever-expanding array of innovative information products, services and software considered to be the best aviation training available anywhere. When you combine Jeppesen’s training with the high caliber instructors, modern equipment and hands-on experience Paragon Flight brings to the table, you’ll learn more than just the facts – you’ll also learn the “why” and “how” behind the aeronautical concepts you need to grasp fully. Jeppesen’s Initial Certification Materials, Test Preparation and CFI Renewal courses all include a software library of Computer Aided Instruction Tools, providing visual, hands-on training to help you quickly master almost every operational task required without digging for hours, buried in manufacturer-provided manuals. Their scenario-based, guided simulation is award-winning, enabling you to easily learn at your own pace. Jeppesen pilot training kits were developed for both FAR Part 61 and FAR Part 141 training programs, providing the most complete aviation training packages available. With Jeppesen’s FliteSchool® Multimedia Software, Airmen Knowledge Test Guides, Stage Exam Booklets, Exam Packages and Practical Test Standard to choose from, purchasing a kit provides you with economical, convenient access to current, comprehensive, integrated materials. Whether you choose sport pilot, private pilot or commercial pilot training, Jeppesen’s syllabus is divided into three stages. A stage check occurs at the end of each stage and a stage exam occurs at the end of each stage of both flight and ground training. 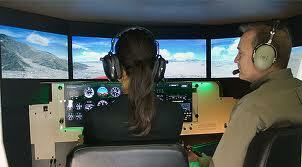 There is also an end-of-course exam and flight check at the conclusion of the course. Paragon Flight’s highly trained fully licensed instructors will work with you directly as you train, providing you with the kind of hands-on experience and expert guidance that can help Jeppesen’s renowned training take you to that next level fast. Our modern training facilities, top-notch flight instructors and modern equipment provide the perfect compliment to Jeppesen’s training courses and materials. Together, we’ll make it much easier, faster and more fun for you to get your pilot’s training from Paragon than it would be from – well – anywhere else on the planet! Paragon Flight has recently added an amazing piece of training equipment to help their students become better pilots – faster & cheaper! The average cost savings is 45-50% per flight hour vs the traditional Garmin G1000 equipped Cessna 172, so it is an amazing tool that students should take advantage of. Amazingly, some certificates qualify use of the simulator for 20-40% of the required hours. That is $1000’s of dollars in potential savings people! The brand new full motion simulator is manufactured by Redbird Simulators and is widely considered to be the most advanced and realistic primary training simulator on the market. The machine is fully FAA Certified AATD and can it’s time can be logged towards Private Pilot, Commercial, Multi-Engine and Instrument Certificates. Paragon’s Part 61 and Part 141 syllabus is currently being revised to incorporate the simulators to help improve flight and situational proficiency without ever leaving the ground. Our instructors are able to change almost any aspect of the flight instantaneously, adding multiple degrees of difficulty that help prepare students for different situations they might encounter one day. Being able to challenge the student with difficult situations such as fog, high cross winds, engine failures or other emergencies without ever leaving the ground is a great teaching tool. That is a huge advantage for the student and through repeated training and rehearsal they will become more prepared, confident and ultimately a safer pilot. Paragon has the Cessna 172 and Tecnam P2006t Glass cockpits for the simulator so our students can easily transition from their training aircraft. This is a tremendous investment in our school and we hope our students take advantage and benefit from its unique teaching properties. We all have deemed of becoming pilots at one point (well most of us have). The absolute #1 reason to become a pilot (besides picking up the ladies) is pure freedom and adventure. 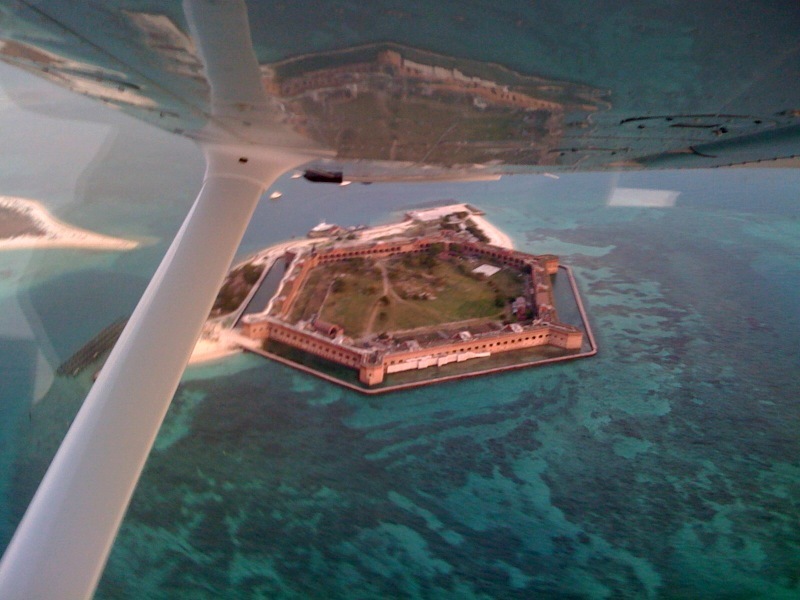 Pilots in Southwest Florida can day trip in a Cessna 172 to places like Bimini, St. Petersburg, South Beach, Daytona, Disney, Cuba (if you’re ballsy) and my personal favorite Key West! So, since I’m the one writing the blog, we are going to talk about Key West. Key West is a place like no other on Earth, it’s truly a paradox. People from every walk of life are there with one common goal to relax, enjoy the tropical weather and have a good time. It is amazing to see millionaires bankers having drinks and sharing laughs with the guy that swallowed a freakin’ flaming sword for beer money at Mallory Square. Like history? 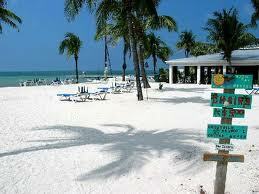 – Key West has two Historical Forts and a rich history of Wreckers and Swashbucklers. Wanna party like Axle Rose? – Key West will humble your appetite for destruction. Want to see kitties jump through flaming hoops of fire? – Yup, got that too. Foodie? – Everything you can think up is here – Some of the best food in the State is in Key West. Fishing? – Amazing deep see fishing charters leave Key West several times a day. Wow, Key West is an easy trip – it’s a no brainer right? Actually, no, Key West has so much to offer yet few pilots have even attempted the short 1 hour flight down. We starting asking why and the most popular reasons were that the trip is intimidating because it’s over water, it’s an unfamiliar field, it’s an unfamiliar traffic pattern, it’s over water (yeah, I said it’s over water twice). We decided that it was time to launch a friendly, no pressure course to help our great students enjoy one of the most memorable flights they will ever make. After the ground portion we will actually fly the planned route with you to give you the real world experience that will allow you to feel confident to take the whole family for the weekend or just a great day trip for lunch at Sloppy Joes. If you haven’t already done so, you should subscribe to a few of the many different newsletters that the FAA posts monthly. The information is all free and you can rest easy knowing the folks at the FAA are sending you good data. Here is a recent note that I though would be great to share. Here we have an excellent example of an accident that did not happen! While an alert IA (or mechanic) discovered the discrepancy, it appears multiple mechanics and IAs missed “seeing” the incorrect installation. Initially, someone made the incorrect installation, and an Inspector missed it! This example can serve as a reminder that mechanics and Inspectors need to be diligent in performing their work. As pilots and owners, we need to encourage mechanics not to shortcut any inspections! Our very lives may depend upon it! We need to ask ourselves what we are relying on as the basis for the GA Quality Assurance program, as it relates to qualifications, training, recurrency, following directions, and performing proper inspections. This is a systemic challenge for maintenance facilities and individual mechanics alike. If you are aware of other examples we can share, please forward the details to Airmen@FAASafety.gov; we would be especially interested in any photographs you may have. 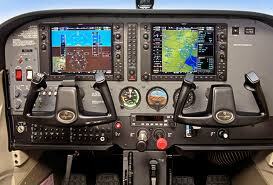 Many of you might be thinking that the Garmin G1000 is just too complicated or expensive to learn. Honestly, it can be expensive if you don’t know where to start or who to ask for help. We have been teaching on the Garmin G1000 since 2006 and with over 1000 students under our belt, we are one of the nations leading glass cockpit training facilities. There are many told we have found over the years to help our students save money and to maximize their time spent in the aircraft and with our instructors. Here are a few great ways to do a little self-education and save some money. Garmin G1000 Training Module for PC – The price ranges from $29-$45 online and it’s a great tool to learn the functions and pages in the G1000. We have this trainer available at our school for clients to use anytime at no charge. King Schools G1000 Course – This is a very structured step-by-step walk through that covers the basics and some IFR functions as well. King Schools always do a fantastic job with their courses, this is highly recommended as a first step. The price is right around $200 but again we offer this a a free service to our clients. Actual G1000 Hangar Flying Experience – Whenever we have a plane available you are welcome to hope in and explore the G1000 first hand. We will set one of our 5 G1000 172’s up in the hangar and you are free to explore at your own pace. See, there are plenty of ways to cut the cost and mystery out of learning the G1000! We are proud to announce that we smashed our previous Groupon record with a whopping 355 sold in just two days last weekend. The popular ticket was a basic Discovery Flight with additional ground training from one of our FAA Certified Instructors. We will be having another great deal on Groupon or Living Social before Valentine’s Day 2012. If you did miss the great Groupon deal don’t despair, we always have the $99 Discovery Flight where you take the controls and become the pilot. If are looking for a totally unique Christmas gift, our Discovery Flight is one that special person will never forget! Make sure you check out Paragon’s new signature training programs tab under the Flight Training section of our website. We have added some new programs designed to help you become the best pilot you can be while encouraging you to have fun too. One example of a Paragon Signature Program is the Key West Traveller. Key West has to be one of Paragon’s most popular destinations, but for someone who has never traveled there by air before it can be very intimidating. This program is custom designed to meet the individual needs of each pilot to answer as many questions as possible about traveling to Key West. After the ground portion we will actually fly the planned route with you to give you the real world experience that will allow you to feel confident to take the whole family for the weekend.